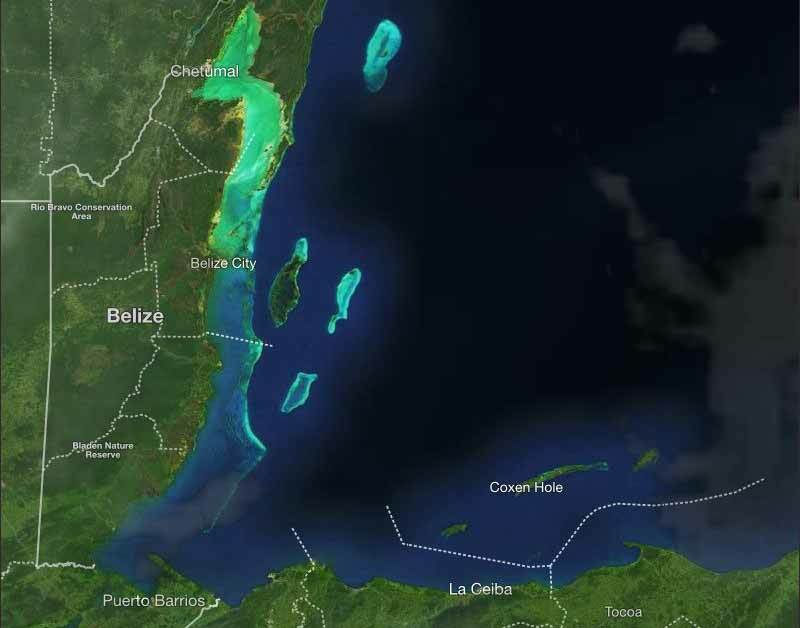 Belize NMS: A light northeasterly to easterly airflow prevails. 24-hour forecast: Mostly sunny today with little or no rainfall and partly cloudy tonight with the chance of light isolated showers. General Outlook: Mainly fair with the chance of light isolated showers on Friday then an increase in showers over the south and coast Friday night. Today NE-E 5-10 kts Light Chop 2-3 ft LITTLE OR NO RAINFALL. Tonight E 5-15 kts Choppy 3-4 ft CHANCE OF LIGHT ISOLATED SHOWERS. Tomorrow E-NE 5-15 kts Choppy 3-4 ft LIGHT ISOLATED SHOWERS. 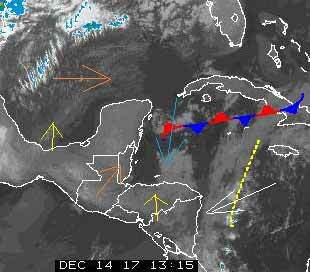 Outlook NE 5-15 kts Choppy 3-4 ft A FEW SHOWERS OR PERIODS OF LIGHT RAIN. 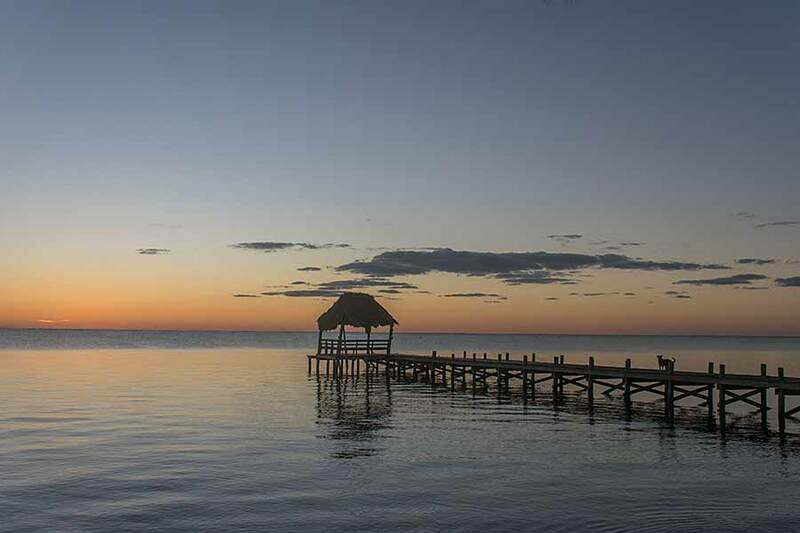 On Ambergris Caye this morning we're still enjoying the flat calm sea from the Northern breeze influence. The expected high is 80 f.
So cold last night the Navy web site is frozen on yesterday pictures. Actually last night was not that cold, but it felt it was colder than the Mon & Tue, that is because the sky was clear, no clouds, nothing between us and space, which is in the - hundreds of -° but because of the air, it is perhaps sort of -80° So our bodies radiate heat away to that -80° This latest cold front is still sending cold air our way but it is reducing. Looks like today will be mainly sunny, some clouds developing later, no rain expected.